For those craving intensity beyond black licorice, how about tar? An old Finnish proverb says, “If a sauna, vodka, and tar don’t help, the illness is fatal.” Scandinavians have used kilns to make tar from pine trees since the Stone Age. Nordic seafarers coated ships with the sticky matter, took it as medicine, and learned to love its smoky taste. Over time, they found tar (or terva) was no match for modern medicine or waterproofing technology, but couldn’t bear to abandon the unique flavor. And so Finns began flavoring alcohol, ice cream, candies, gum, and lemonade with tar. 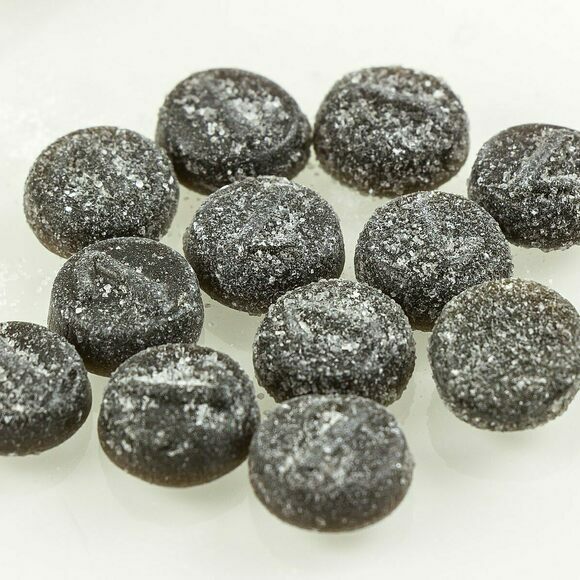 Terva Leijona, or Tar Lions, are tar-flavored licorice pastilles. First sold in 1933, the retro herbal confection is particularly beloved by older Finns. Even though Tar Lions are a product of ancient tradition, Finnish people of all ages are proud to call the bitter sweet a unique part of their culture. In Finland and other parts of Scandinavia, you can find "terva" in candy aisles and at ice cream kiosks. You can also purchase Terva Leijona online.